I like to wear a really light concealer, such as the NARS Creamy Concealer in Chantilly, to brighten up my under eye area and at first I thought Porcelain was going to be a tad too warm, but once blended it’s the perfect match for my fair complexion. I would, however, love to get my hands on their yellow shade to see if it could brighten up my dark circles even further. The concealer comes in a plastic bottle with a sponge tip applicator similar to Collection’s Lasting Perfection, and sadly most of the writing has been worn away after only 2 weeks of use. The lightweight formula gives medium to full-on coverage (it’s incredibly buildable) without looking too cakey or creasing under my eyes. It’s incredibly easy to blend with my Beauty Blender, however, I do find myself using a powder to set it to increase it’s longevity. I find it covers the discoloration under my nose, my acne scars and enlarged pores very well and adds a nice highlight to my chin and forehead. I love the smooth, creamy consistency of the concealer and the brightening effect it gives my under-eye area. I can definitely see why it’s one of NYX’s best-selling products and a favourite drugstore product among beauty vloggers. The HD concealer recently featured in Em from My Pale skin’s tutorial – ‘Cheap Dupes For Expensive Makeup‘, as a possible dupe for the Urban Decay Naked concealer. 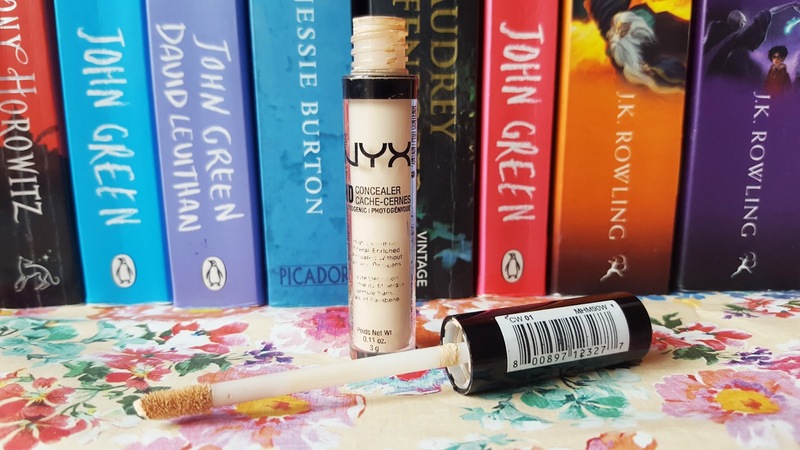 The NYX HD Photogenic Concealer Wand is available from Boots, Feel Unique and Selfridges and retails for £5.50/20g. 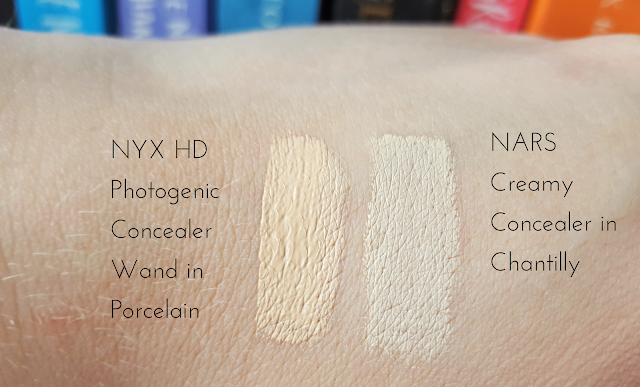 Have you tried the NYX HD Photogenic Concealer Wand? Have you tried any colour-correcting products? Which do you recommend for dark circles? "Pregnancy | 20 Things to Do Before the Baby Arrives"
"NARS Sheer Glow Foundation Review"